This season, food was on everyone’s lips and even on some model’s hips as LVMH and Kering, the two foremost luxury groups, signed a charter aimed at promoting healthier habits regarding food and eating within the fashion industry. 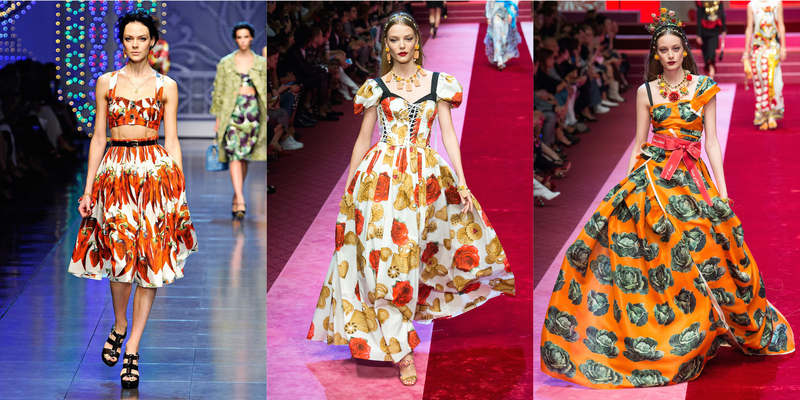 Gastronomic synergy could also be seen in the Dolce & Gabbana Spring 2018 show where vegetable prints in striking colours, think garden peas and radishes on a white calf length dress, or, for the daring, green cabbages against a bright orange background. 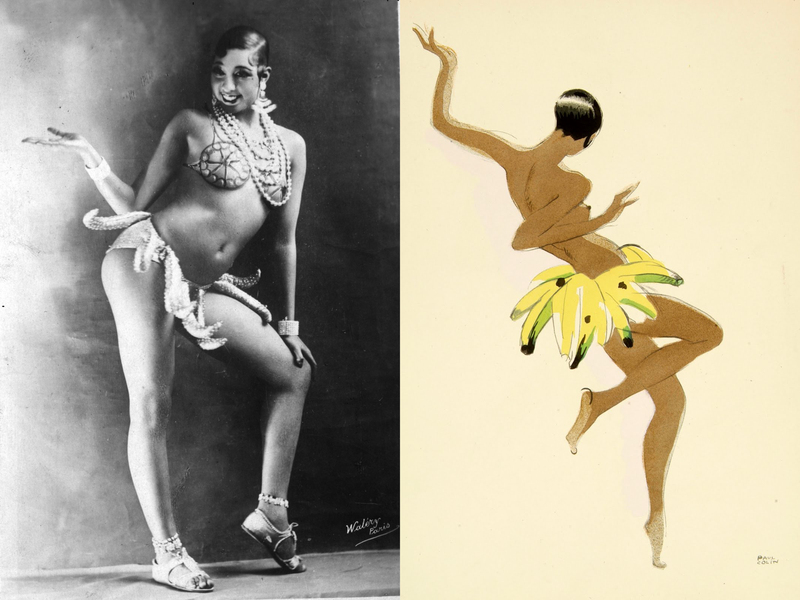 Not since Josephine Baker has so much fresh market produce adorned a skirt. But this is not their first foray into vegetarian mode of dressing, and similar styles were part of their spring summer 2012 collection. They have also gone so far as to partner with SMEG and produce a series of fridges which were initially available at the Salone Internazionale del Mobile in 2016, and while the refrigerators are nearly unwearable, they do go nicely with some Sicilian wine and a chilli pepper printed summer dress. For Jeremy Scott’s first collection at Moschino (Fall 2014) he embraced not only popular culture but in particular the culture of fast food, sending models down the runway clad in a variety of chocolate wrapper inspired gowns, bearing McDonald’s happy meal handbags and transforming the golden arches into a reworked logo for the brand. Irreverent and colourful, no one fashionable would be caught dead eating Captain Crunch for breakfast but once it passes through the hands of Jeremy Scott its fit for the runway. 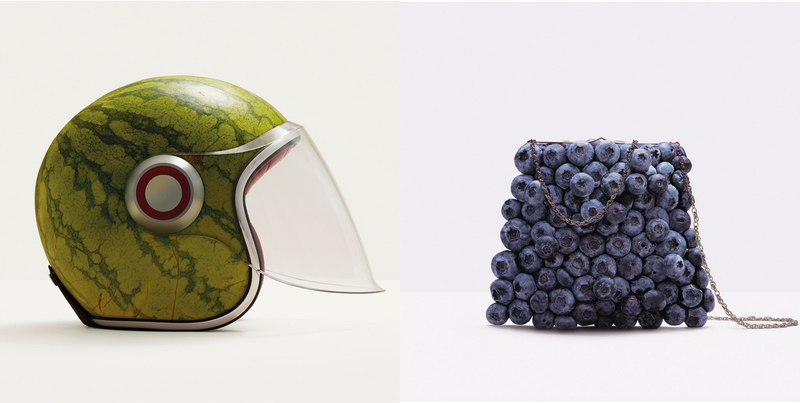 Similarly Anya Hindmarch for her Fall 2014 collection reimagined many household brands as iconic handbags, in an inside-outside cross-reference between the Kellog’s you ate this morning, the Ariel in your shopping trolley and the handbag you’re fishing your credit card out of. 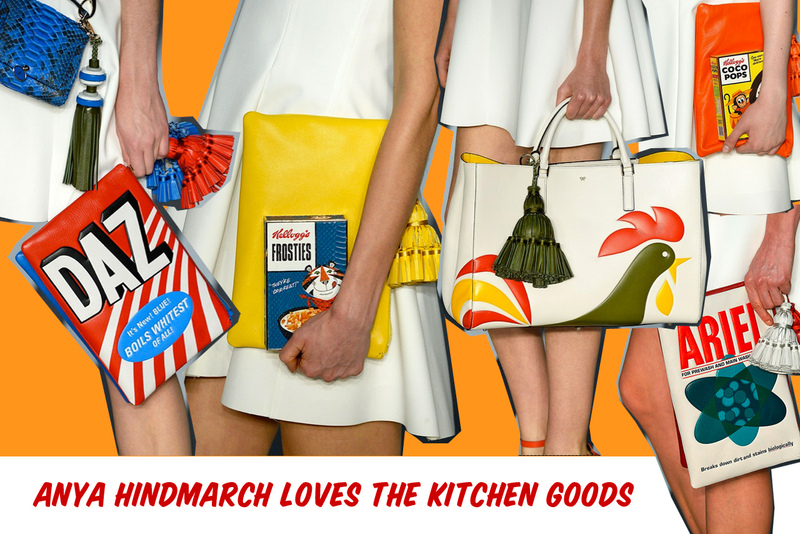 Moschino Fall 2014 and the colourful Fast Food inspired pallet of Jeremy Scott, a moment on the lips, forever on the hips / ANYA – is that a rooster in your bag or are you just happy to see me? 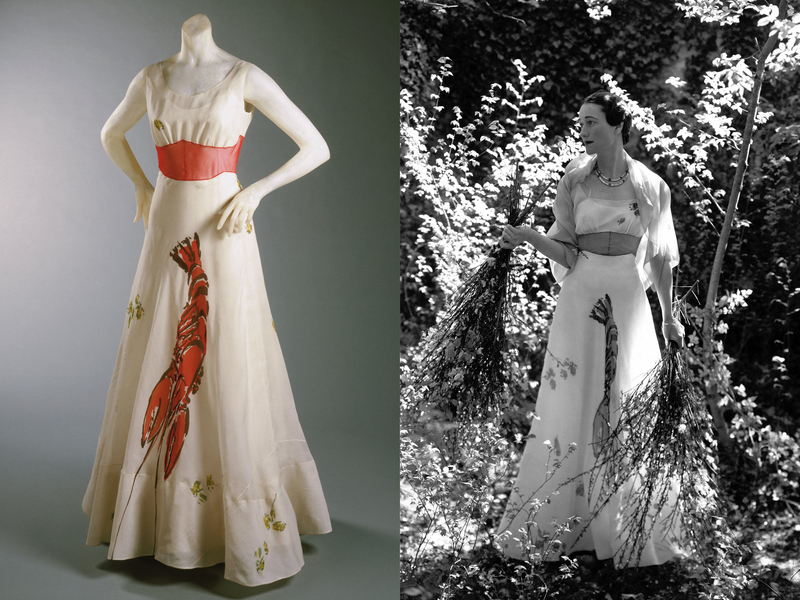 Of course fashion and food have never been very far from one another and if we look way back to Elsa Schiaparelli’s 1937 Spring Summer collection, we can see that her collaboration with Salvador Dali gave us the celebrated Lobster Dress immortalised by Wallis Simpson for whom King George V abdicated. 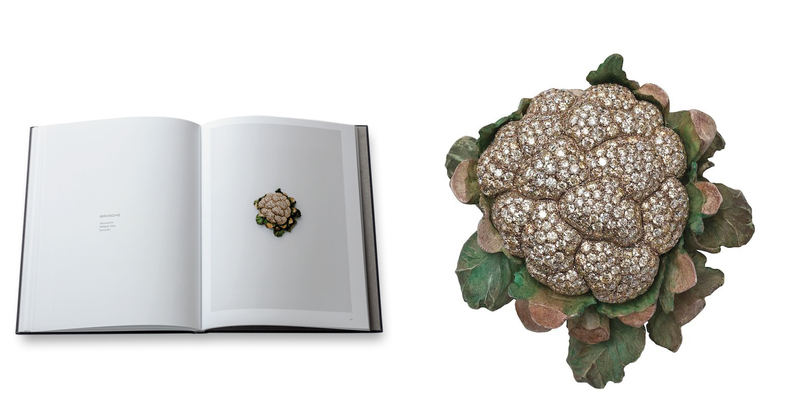 Similar, but more contemporary collaborations include the vegetable inspired jewels crafted by Hemmerle which are paired with a cookbook by Tamasin Day-Lewis, the well known food writer. Decidedly the days of edible gold are over and cauliflower diamonds are all the rage. 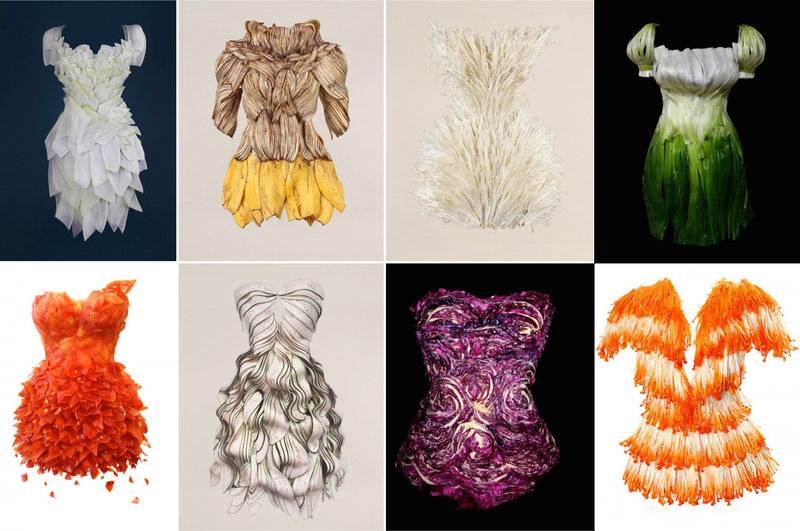 Of course the aforementioned clothes and jewels are not quite edible, although given the subject of fast food the definition of edible is more than negotiable, and this is where Lady Gaga’s meat dress comes to the fore. Styled by Nicola Formichetti and designed by Franc Fernandez, constructed out of hand stitched flank steak (from a regular family butcher) the dress made quite a stir, elbowing the duchess of Cambridge’s engagement dress into second place as the most influential fashion statement of 2010.